Yes, indeed! While brushing, flossing, and regular visits to Fresh Impressions Dental Care are all key to maintaining a healthy smile and mouth, Dr. Ron Albert and our team want you to know the state of your oral health has a significant effect on your overall health. Dr. Ron Albert and our team at Fresh Impressions Dental Care are experts in identifying and treating periodontal disease. Give us a call today at our convenient Manchester, CT office to schedule an appointment to improve your oral health and your overall health, too! 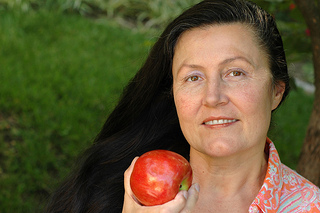 During your next visit to Fresh Impressions Dental Care in our Manchester, CT office, we can discuss your diet. 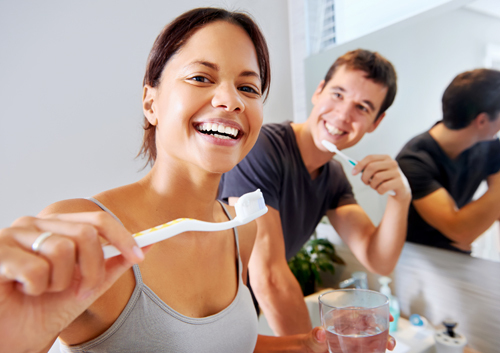 We may recommend using certain products to fortify your teeth or change the way you routinely care for your teeth. Please enjoy the wonderful whole foods that are great for a healthy waistline. A healthy waistline and a healthy smile have a positive influence on your general health. A healthier you is a happier you. The happier you are, the more you smile. Keep your smile brilliant and beautiful with the care your teeth deserve at the practice of Dr. Ron Albert. But what are the things you should never do with your toothbrush? Here’s a brush-up on five toothbrush no-nos, from Fresh Impressions Dental Care. Many people consume carbonated or sugary drinks and acidic foods every day but have no idea those beverages may be harming their teeth, making them vulnerable to tooth erosion. The acid in the foods we eat and drink can cause tooth enamel to wear away, making your teeth sensitive and discolored. Dr. Ron Albert will tell you that in many cases, what’s important is not what you eat and drink, but rather how you consume it. Dr. Ron Albert may also recommend daily use of a toothpaste to reduce sensitivity (over-the-counter or prescription strength) or other products to counter the effects of erosion. It’s important to know that the majority of dental problems, such as tooth erosion, do not become visible or painful until they are advanced. And, unfortunately, serious oral issues are painful and expensive to treat. A deep cleaning twice a year by our team at Fresh Impressions Dental Care is the best way to hit all the spots you may have missed with brushing and flossing and prevent any issues that may have gone unseen.